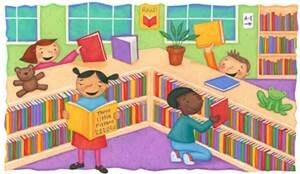 The school library exists primarily to support and enrich the curriculum. It is a service and teaching agency as well as a place for purposeful learning. The librarian and classroom teacher are partners in the instructional process. They plan and implement activities so that the goals of both the content area and the library program are achieved. Students use the school library for research as well as checking out books. Students also have access to search our extensive library online.